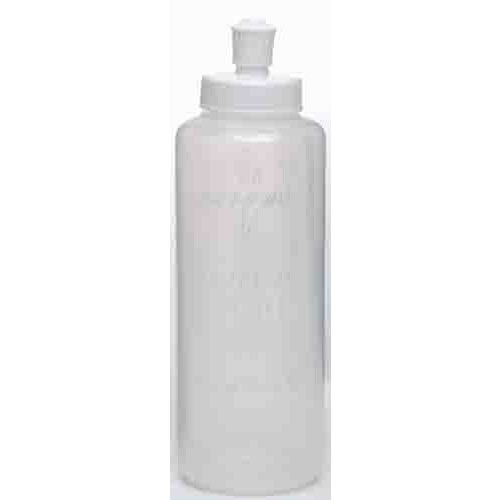 Medline DYND70125 Perineal Irrigation Bottle is a disposable, screw top, plastic irrigation device that regulates water flow with it's lift-and-turn style cap. Each bottle is meant for single use only, holds up to eight ounces of water and has graduated markings for better visual confirmation. The clear color makes it easy to view how much fluid is left as well. Each bottle is non-sterile and does not contain any latex. I received these in good time and they were just exactly as described. I am very pleased with them and will be ordering more. Not generally a fan of online purchase when product cannot be thoroughly examined, but this item was exactly the quality and design needed and described. It arrived way earlier than expected, in quality packaging. This is definitely a vendor to consider.